My animation is a re-creation of one of Aesop’s beloved fables. 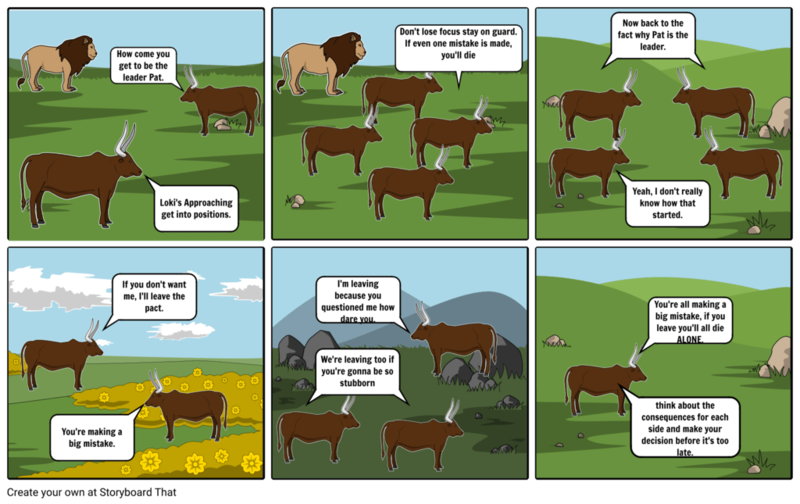 This fable features four oxen that get into a fight, leave each other, and get killed. They had to make a decision, whether or not to stick together. They chose to leave each other which thus results to them getting brutally eaten by the lion, basically dying the most miserable death possible. If they had in fact stuck together, they could have continued to fight off the lion for the rest of their lives or even took it over. My animation demonstrates what would have happened in either of the paths of the decision. 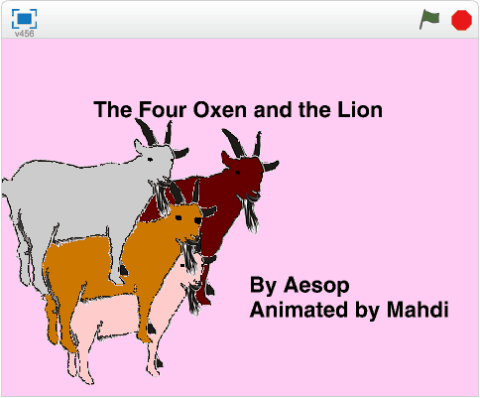 The Four Oxen and the Lion Remixed by Mahdi is licensed under a Creative Commons Attribution-ShareAlike 4.0 International License.